These should be it. I hope it works. This is my first time posting something on a forum. 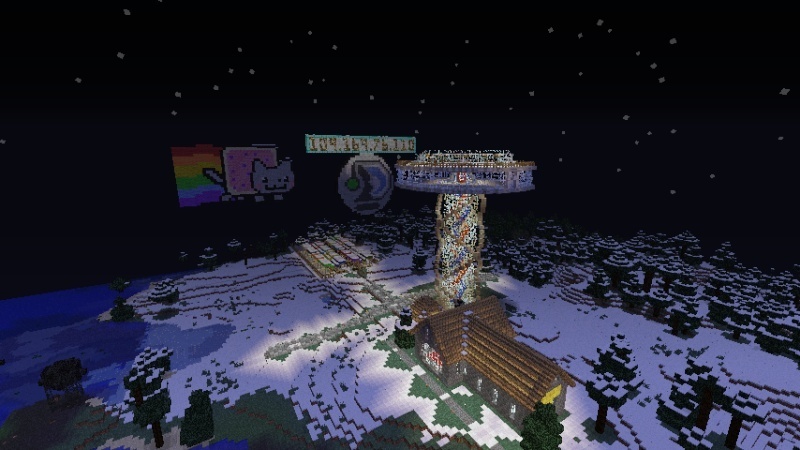 Pretty cool pictures, maybe you could take more and make an advertisement for the server? There's a $100,000 reward for good ads! I have enough money in-game, but thanks. It means a lot. Wow mate, that is completely amazing. I'm utterly jealous, because I know that I'm going o go and make a structure borrowing some of your design, and I'm going to hold in the back of my mind that my creation partially came from you. And,' then I'm going to be pissed that it's not completely my own original work. x] Good job man, you just made and ruined my day with your awesome structure.